(13 Oct 09) Spikes Asia Digital Gold! 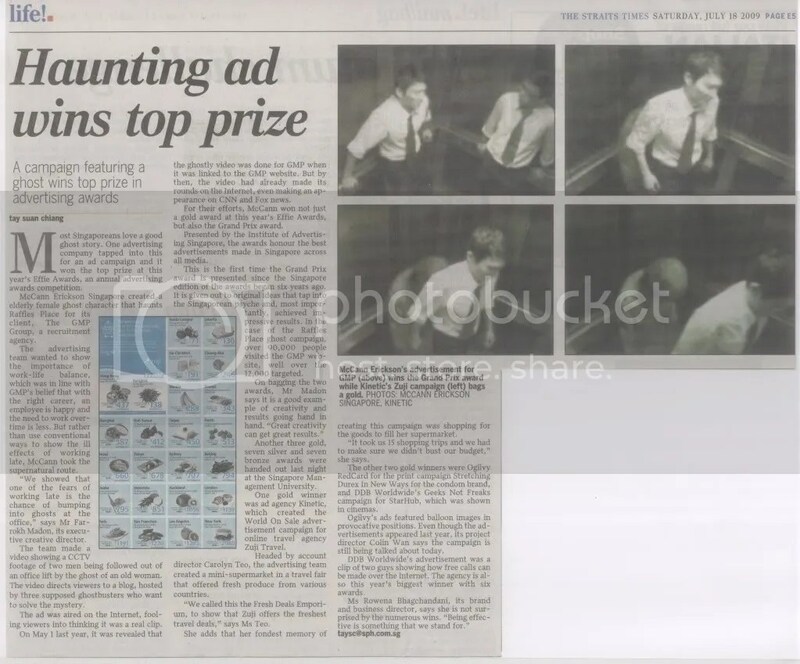 (22 Jul 09) another news clipping of the grand prix win! this is in TODAY newspaper, dated 21 Jul 09. (17 Jul 09) effies! a grand prix and a gold! this is the first time the Grand Prix award is presented since the Singapore edition of the awards began 6 years ago. 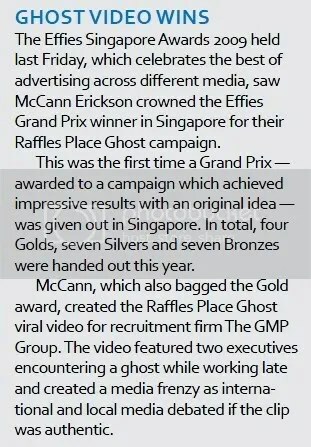 I’m glad that we are the first and that this win will be jotted in Singapore advertising history books. the article on Straits Times! (click on image to view it in a bigger size). another coverage here. p.s: we missed out on Cannes, no metal for the awards cupboard, but at least we were finalists for 3 categories! (25 Mar 09) another win! 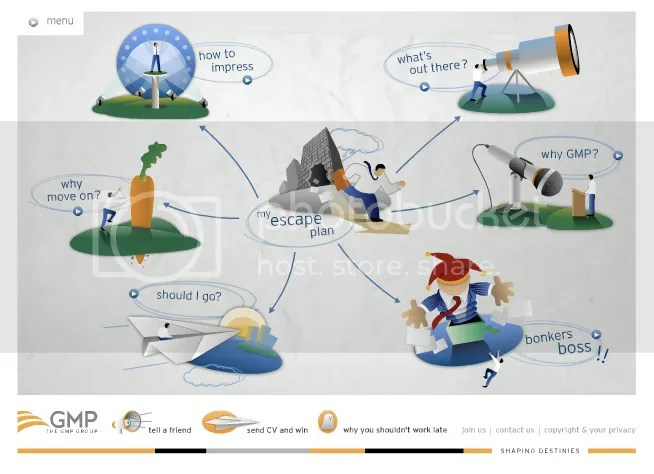 this time round we’ve picked up a silver at AdFest 2009 for Viral Marketing Campaign. No gold or bronze for this category, but a silver was also awarded to another campaign in Tokyo for the same category. we swept 4 awards last week at the Asia Interactive Awards! before we start, a brief client’s background: Founded in 1991, The Global Manpower Professionals (GMP) Group, is one of the largest staffing and HR consultancy in Singapore. the challenge: GMP faces competition from bigger, more established manpower agencies such as Kelly Services, TMP, Hudson etc. GMP needed to increase market presence and position themselves as the ideal choice for jobseekers. Two objectives were set; primary objective is to drive brand awareness amongst target audience – working adult, 20 to 35 year old and the second is to generate candidate leads through CV uploads on their website. the idea: GMP believes in work-life balance and that no one should have to work late if the job is right. The right career will present the right challenges, prospects and benefits hence leading to greater job satisfaction. A happy employee is more productive, and therefore the need to work overtime diminishes. And GMP believes its stringent placement process will help candidates find the right career. 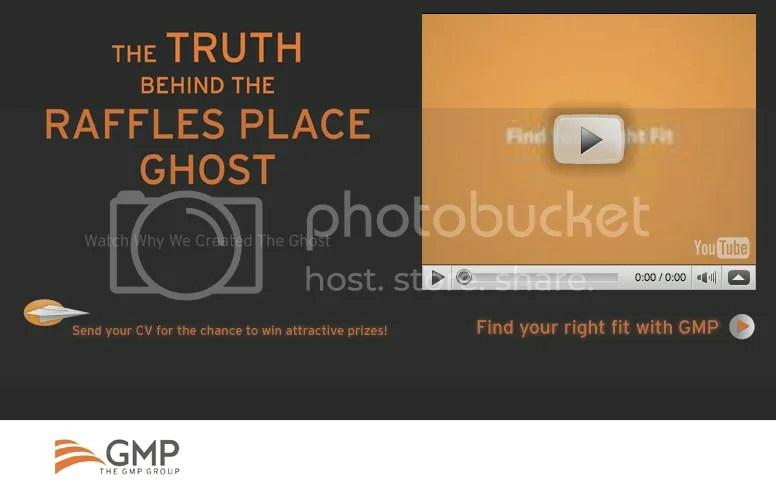 Given the understanding that Singaporeans like to share paranormal sightings and stories, McCann came up with the big idea – “No one should work late” and the ghost-themed viral video was conceptualized. With a S$100,000 budget, GMP had to find a creative and effective solution. Viral marketing was an excellent platform as the ghost theme, being a sensational topic locally, will cause a self-replicating effect that encourages advocates to spread the message. The viral video shows a CCTV footage of 2 men being followed out of an office lift by the ghost of an old woman. It then directed viewers to a blog, hosted by 3 amateur ‘ghost-busters’ wanting to solve the mystery. They sought public’s help in their ‘investigation’. lots of user generated content was generated during the viral phase. The reveal made primetime news locally (e.g. CNA) and overseas (e.g. CNN). It was also featured by local dailies (e.g. Straits Times), trade publications (e.g. Media magazine) and discussed on over 300 websites. Everyone from paranormal societies to video-makers gave expert comments. PR value from local media coverage alone is approximately S$200,000. Discussion in the cyberspace was overwhelming. 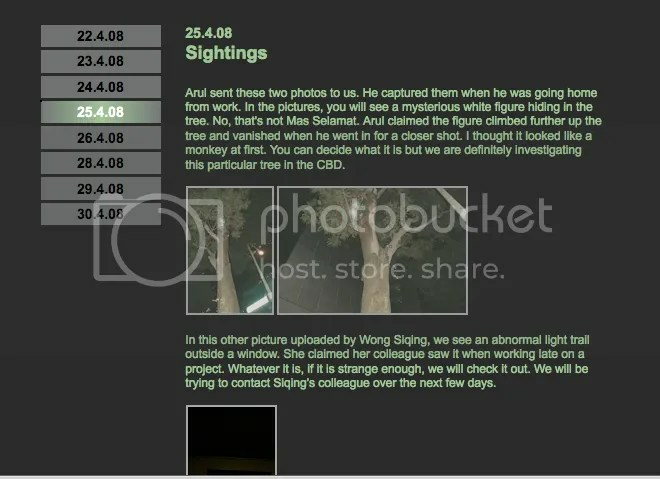 A Google search on “Raffles Place Ghost” shows 36 pages of relevant results. Of which, 82 bloggers (23%) embedded the video and discussed the campaign. There were 64 forums discussion (18%) and 81 sites where the video was uploaded (22.5%). Besides attaining massive awareness, the number of CVs uploads increased by 48% on a YTY comparison. It is a definitely a defining piece of Singapore advertising and a fantastic example of how a big idea can magnify a small advertising budget. ← Kit Kat – Working Like A Machine? oh my, i didn’t know that this project was under you. Haha. Found it quite amusing, with the video and all. Certainly made GMP a more prominent recruit agency among the many in Spore, with the strong tagline that attracts the target group’s attention. So how did you all did the video with that old lady floating past??? Haha.